Innovative technologies such as Augmented Reality glasses have the potential to improve the work environment and the way the maintenance staff performs their tasks. With costs coming down, companies can benefit a lot from using AR in maintenance. Generally, the technicians and engineers rely on multiple sources of information when performing their work. These include online and offline resources such as technical manuals, operational manual, videos and more. Getting the right information can be a challenge and lead to time wasting and delays in fixing a problem. The AR glasses gives the maintenance staff the possibility to visualize the correct information for a certain task at the right time without wasting the time looking through several resources. For example, AR glasses can use technologies such as RFID and QR codes to identify the equipment and materials they engineer is interacting with. 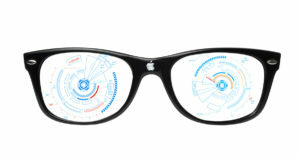 The augmented reality glass will then display the information about identified equipment. In addition, the AR smart glasses can display more information such as safety instructions, dangerous environments or any other useful information. The Augmented Reality glasses can be of great assistance to maintenance personnel and departments since they will spend less time looking for information and hence reduce costs and time to sort issues.